Can You Sue an Executor After an Estate Is Closed? Although most Florida probate estates are administered without incident, there are cases where an heir or beneficiary may have reason to believe the executor is not adequately performing his or her duties. 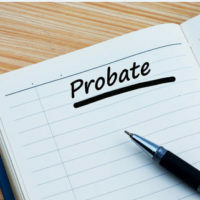 Florida probate law provides a number of ways for beneficiaries to address their concerns during the estate administration process. But what about after an estate is legally closed? Can a dissatisfied beneficiary still take action if they still believe something went wrong? A recent Florida appeals court decision, Sims v. Barnard, helps explain how the law works in this area. This case involved a probate estate that took almost 10 years to administer. At least one of the beneficiaries was dissatisfied with the performance of the personal representative who administered the estate. (A personal representative is the same thing as an executor in this context.) So, although the probate court closed the estate in February 2015 and discharged the personal representative, two years later the beneficiary tried to file a new lawsuit. Essentially, the beneficiary said the now-discharged personal representative and the law firm he hired to represent the estate committed “embezzlement” and “gross negligence” in its handling of the estate. The probate court declined to reopen the estate, citing a provision of Florida law that generally bars lawsuits against a personal representative after a discharge is granted. The beneficiary appealed, but the Florida First District Court of Appeal agreed this estate should remain closed. The law in question, Section 733.901 of the Florida Statutes, states that once the administration of an estate is completed, the court must discharge the personal representative. And this discharge “shall release the personal representative and shall bar any action against the personal representative, as such or individually.” In other words, you cannot sue the personal representative for an estate-related matter once the court grants the discharge. Now, this isn’t an absolute rule. As the First District explained, there are situations where a personal representative can be sued post-discharge. Typically, these are cases involving “fraud and intentional misrepresentation,” such as when an executor intentionally conceals assets from the court and the beneficiaries. But although the beneficiary claimed embezzlement and gross negligence in this case, the appeals court noted the substance of his allegations were not so serious. Basically, during the original probate proceeding the beneficiary objected to the personal representative’s decision to sell various properties to pay the expenses of administering the estate. But the probate court approved all of these decisions, the First District noted, and it also approved the “final accounting” of the estate. The beneficiary was simply trying to re-litigate issues that were already decided by the probate court, and this was clearly prohibited by Section 733.901. Estate and probate administration can be quite complex, especially if you are an executor or beneficiary who has never been through the process before. An experienced Fort Myers probate lawyer can help. Contact the Kuhn Law Firm, P.A., at 239-333-4529 today if you need assistance with a Florida estate matter.